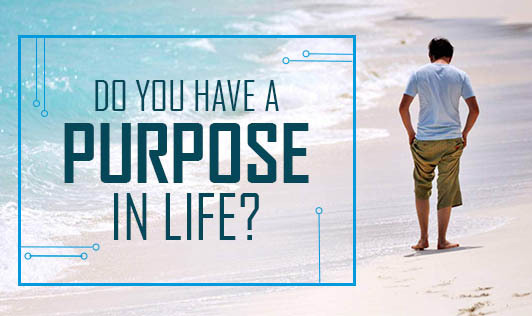 Do you have a purpose in life? There are many people who go through life in an automatic fashion every single day. You get up, go to work, come home, have an hour or two to spend with family, go to sleep, and start the cycle all over again the next morning. Very few people take time and make an effort to discover the meaning of their life, or the purpose for it. A purpose can be anything from wanting to accomplish a goal in life to achieving something in a volunteer organization; to as little as reading a series of your favourite books (Dr.Patrcia Boyle, neuropsychologist & Leona Luyks). If you're one of those who has negative thoughts about finding your purpose in life and feel it's a waste of time, you will have a hard time living a fulfilled life. Many people like writing, exercising and volunteering, but it never becomes their purpose because they never schedule time to practice it. The fact is that most people think that they need a better plan and resources to be able to practice them, when the truth is all they need to do is to commit to a schedule and practice it. It's important to focus your energy on something that is important to you and that fulfils you. • Reduce stress and anxiety that arise from the lack of direction in life. So how do you find your purpose in life? When you're able to identify these three aspects of your identity, you will have a better sense of how you can maximize your sense of purpose in order to improve your health and well-being. Remember that having a purpose reduces your defences to change, making you see more clearly the reality of your behaviours which makes you more likely to change for the better!